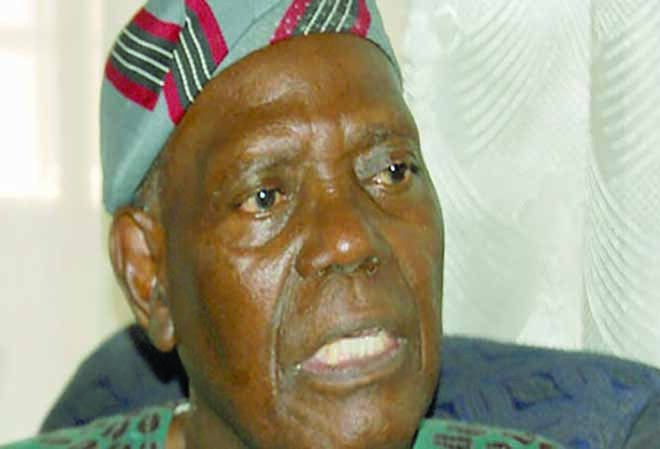 Forty-Eight hours after the former Interim National Chairman of the All Progressives Congress(APC), Chief Bisi Akande said that President Muhammadu Buhari would not get automatic ticket in 2019, the party has washed off its hands from his position. The APC through its National Publicity Secretary, Mallam Bolaji Abdullahi yesterday said Akande’s statement on the next presidential election was not the position of the party, hence, he was speaking for himself. Speaking on the telephone with Saturday Sun, Abdullahi observed that though he was not a party to the meeting where Baba Akande made the statement, it does not represent the position of the party in any way. He said: “I have read the statement credited to Baba Akande, but I did not see anywhere he said that there is no automatic ticket for anybody. When reminded that the interpretation of the President coming from any part of the country means no automatic for President Buhari, he said: “You are free to do your interpretation the way you want it, but as for me, I cannot interpret. “I can only speak on the fact available before me and the fact available before me was that Baba Akande said that Mr President has not declared to run for the second term and that to me is a statement of fact. On Thursday, the former APC Interim Chairman had said that the President can come from any party of the country, implying that the party may not give automatic ticket to the incumbent, President Muhammadu Buhari in the 2019 Presidential poll. He made the statement in Ibadan while briefing newsmen after a meeting of the leadership of the APC in the South West, at the Executive Chamber of the Oyo State Governor’s Office.